Replacement Filter Combo Pack - Replacement Filter R and Filter A.
Honeywell HEPA filter captures up to 99.97% of airborne particles at 0.3 microns from the air that passes through the filter. 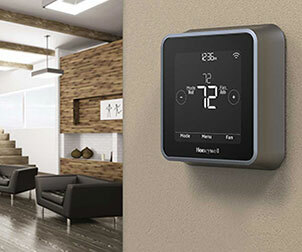 Honeywell Pre-filter helps reduce common household odors. Pre-filter captures larger particles such as dust, lint, fibers & pet fur maximizing the HEPA filter life. Includes 2 - HEPA HRF-R1 'R' Replacement Filters & 1 HRF-AP1 Universal Carbon Pre-filter. For best performance replace HEPA filter once per year and pre-filter every 3 months. Provides 1 year of filters for the HPA200 series Honeywell air purifiers & 2 years of filters for HPA100 series Honeywell air purifiers. The Honeywell HRF-ARVP True HEPA Filter Value Combo Pack can capture 99.97% of airborne particles at 0.3 microns from the air that passes through the filter. The Pre-filter has the additional bonus of reducing common household odors and capturing larger particles such as dust, lint, fibers and pet fur. This package includes 2 HEPA HRF-R1 'R' Replacement Filters and 1 HRF-AP1 Universal Carbon Pre-Filter. In turn, this offers a year's worth of filters for the HPA200 series of Honeywell Air Purifiers and 2 years of filters for the HPA100 series of Honeywell Air Purifiers. It is recommended that you replace your HEPA filter annually and your pre-filter once every 3 months. These filters are compatible with: HPA090 series, HPA100 series, HPA101 series, HPA200 series and HPA250 series. Establish an unrivaled breathing experience for yourself and your loved ones with the Honeywell Store's selection of air purifier filters. Honeywell HEPA HRF-R1 'R' Replacement Filter Dimensions: 6.7 x 1.6 x 10.3 in. Honeywell HRF-AP1 Universal Carbon Pre-Filter Dimensions: 8.3 x 2.8 x 10.1 in. The Honeywell True HEPA Filter Value Combo Pack can be used in a variety of Honeywell Air Purifiers. Please check the air purifier model range below to see if your air purifier is listed. Allergy Season has begun and ordered my combo filter pack and what a value I received. I can get 3 filters out of my pre-filter. What a lifesaver my Air Purifier is this season. Quality of the products are excellent. Received my shipment within a week in mint condition. Thanks Honeywell for great products and service!! Just wish I could order the ore filters pre cut. Honeywell reminds me when I need to reorder, they produce quality products and the service is flawless. What else can I say? Gets the job done. I replace these every few months and they are always very dark so I know they've been cleaning dirty air. Also the black pre-filter does a good job of catching cat hair that would otherwise be on the floor so that's a plus. My wife has a dust allergy and we have two Honeywell HEPA cleaning units. We are very happy when we clean the filters - to see how great they are they are wonderful!!! Love my air filter, it works best if the filters are changed as needed. This packed contains everything needed at a reasonable price. Purchased for my 97 year old mother. Allows her to breathe without using her oxygen tank. Keeps the air in her room clean. Combo pack is very convenient. I purchased two replacement filters. I have had my air filter for a few years and I am completely satisfied with the whole unit. I am amazed how much it pulls out of the air. Wonderful product! Has totally improved quality of life. Product is high quality. Received in about 7-8 days. No problem as usual, Great delivery and great on line service. These filters are hardworking little dudes which keep my indoor air nice and clean. I have one cat who sheds a lot and these filters keep me from having allergies. 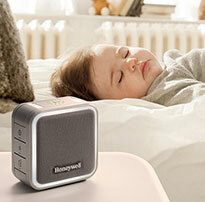 If you have any breathing or allergy problems, get a Honeywell air purifier and use it. I bought HEPA filters and pre-filter for my Honeywell air purifier and used it during home renovations when the air in the house was filled with dust. Cleared the air up fast! Easy to order, arrives timely, goes in easily. Couldn't ask for better service. Easy to order and easy to use! This item is very helpful since it comes with both filters and pre-filters. What a difference it makes when you keep on top of changing them - your hepa air filter lasts longer. Product works as expected. Fast shipping. Order was delivered in a very timely manner as promised. I was happy to find the right parts! They carry the parts for older models and I was relieved to find them because the air purifying systems we have are good. I bought the true filters for my HEPA Allergen Remover Unit. I thought about using another which was cheaper but I went to the Honeywell online store and the pricing was not as high as I anticipated. They fit perfect and work for months. Very happy with my decision to remain with the brand name. I love it when things work. The pre filter is cut to size. It cuts easily with ordinary scissors. The HEPA filters are identical to the originals, as advertised. Your products are excellent, you are easy to find online and the customer service is great. Have purchased with your company several times, and am very satisfied with the products. As well as the prompt time of arrival after placing order. Will order again in the future, as your prices are reasonable and I value the quality of your products. I love my air purifier and ordering replacement filters is a breeze through Honeywell. They timely remind me and the order arrives within 5 days. Can't beat two filters and a large pre-filter that can be cut multiple times to fit your filter. I'll probably be getting a second filter soon! The filters are easy to use. Replace the old filter, good. Product came with clear instructions and was easy to install. Does a good job of filtering the air and is quiet. I have several air purifiers in my house because of have 2 dogs and a cat. The filters really do a great job in removing the floating pet dander and hair from the air we breathe. My Home Depot carries the HEPA filter but not the pre-filter and at a higher cost! So glad to buy these on-line and at a savings! Invaluable! They really earn their keep. I bought these to replace the filters in my Honeywell air filter. They were easy to install. I'm happy I got the value combo pack so that I am prepared next time the filters need to be replaced. The packaging was a little confusing, it looked like the filters were for a different product, but they work perfectly in mine. Had a hard time with part numbers, but the product box pictures helped me to select the correct replacement filters. Everything is working great! Order was received promptly, double boxed. Perfect. Website shown was exactly what I was looking for. Delivery was perfect and the Air filter works fine. Order came quickly - supplies for a year. Filters work very well in our dusty area! I love my Honeywell air purifier and the convenience of regular filter orders. It assures that my house air is as fresh as can be in spite of my bad memory. Honeywell is one classy business. Everything came as I ordered. It all fit perfectly and works great! I will be ordering from you again in the future for my replacements. Reviewed: 09/01/2017 by Darci M.
The product arrived more quickly than expected 2-days and was perfect. The cost was less than on Amazon Prime even when you factored in the shipping. Way to go Honeywell! I absolutely love my Honeywell air purifiers!!! Nice surprise that the per filter was large enough to cut into 4 pieces - one year worth. I bought my HEPA filter unit 2 yrs ago from Home Depot. I have bought a replacement filter from Home Depot but they didn't carry the pre-filter. Your store has 2 filters and a very ample supply of pre-filters for what I paid Home Depot for 1 filter. The package even arrived faster than scheduled! Great combo pack for the 200 series, just once a year. We have had this system in our living room for over a year and couldn't live without it. The Filter and Pre-filter are easy to clean when necessary. Jenna was so helpful in finding the correct products for my HEPA Filter order. She made the whole process simple & quick. So far as I know, the filter works alright. When we needed a replacement for the filters, it was very useful to find the combo pack for our Honeywell filter. I've been using both the HEPA true filters and R filters for the last 3 years. They work great together. I change the True HEPA more regularly than recommended, but that's by choice. I love the price for the combo pack. Love this air purifier. Filters do not have to be changed as often as others. Haven't had to use these yet but being that it's the same brand I anticipate them to work just fine. Perfect replacement. Very easy to order and arrived quickly. Works great with my air purifier. I have yet to find any other filter that is even close to the effectiveness of these. The HPA series units can run 24/7 no problem and the sub micron filtration is amazingly effective. I highly recommend these filters, they absolutely absorb every bit of particulate matter in the air. Easy to install, do the job. We love the air purifier these go to, so purchase the filters once per year as recommended. Filters arrived sooner than expected and they fit perfectly. I saved money buying online. Thanks! Keeping the filters changed makes a huge difference in the air quality of our home. This is the best way to always be sure I have them on hand It's quick easy and always in stock. The filter I ordered was exactly as shown on the website. The product was reasonably priced and fit perfectly. Filter replacements do a great job. Web site easy to navigate, found just want I needed in no time. Oder was received promptly in good condition. I have COPD and bad allergies while owning birds that seem to molt more times than not. The filters truly help to keep my allergies down to a minimum. Thank you! Love the large amount of prefiltres. ARRIVED ON TIME AND VERY PLEASED WITH THE FILTERS. Been using these filters and Honeywell machine for about a year. Very pleased with the quality of these filters. Does a great job in purifying the air. Great filters for multi-dog family! When we decided to add a second pup to our home we didn't realize the amount of fur, dander and outdoor debris would increase not two-fold but ten-fold. At least that's how it smelled to us. We purchased two Honeywell Hepa air systems- one for upstairs and one for the family room. These filters are great. The units are quiet and the filter and pre-filter pulls so much out of the air, if there weren't dog toys around you wouldn't know we had a golden retriever and a golden retriever/chow chow mix! I like this product because everything you need is in one package and lasts a whole year. Great investment. This is my second order from Honeywell and the filters work as expected. Will be ordering again. Delivered on time, product as described. These work so well I am ordering more!! I was very pleased with the purchase price and timely reception of this order. I will order from you in the future due to my satisfaction of your product, prices and receiving my order. exactly what was promoted refills were 1/2 what they cost in the stores. Those are good, the price was cheap, and very good quality. Your price and availability surpassed all other prices and stores that I researched. Shipping was very timely, and I will always order from your store as needed. How nice to know that I could get the product we needed, at a competitive price, delivered quickly. Thanks! We use our filter every single day. It makes a big difference in the air quality for us. Filters were great, trimmed to fit perfectly and our air filters are back in business. Order came quickly and we are pleased. Easy on-line ordering, good price & fast shipping also fits great! Got in timely manner and works perfectly. Great products.. Reasonable prices and fast shipping! I anticipated slow shipping and only what I paid for. My products arrived ahead of schedule. The prefilter is a cut to size product that for my filter will yield several uses which is great because they should be changed more frequently. This pack is good to use. Product was as advertised. Fit and installed easily. Arrived in record time. Busily cleaning my room as we speak! We use these replacement filters in a hospital and they do a great job. My purchase of the HRF-ARVP filter pack combo was smooth with no hitches in the process. Economy shipment was fast and the product as described. Thank you so much for the quick service! It was time to replace them, and ordering online gave me great savings!! Thank you so much for the quick service! It was time to replace them, and ordering online gave me a great savings! Very easy to order. Very quick delivery and the combo price is a decent price. Everything arrived on time and in good order. Bought product after researching internet. Found the cheapest prices at the Honeywell Store, quick shipping. The pre filter that comes with the kit is more than enough to change the pre filter several times. 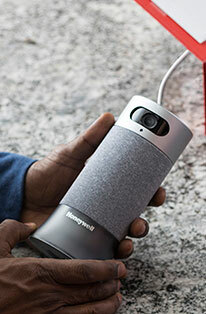 Will buy from Honeywellstore.com from now on. Easy to install and exactly what I needed. no big deal cutting the carbon to fit my two units. This is an excellent filter for a good price...very quiet too. It really pulls a lot of stuff out of the air. I am very happy with this unit! I received it faster than I thought. Honeywell is a very great product that's why I order everything from Honeywell. The filters that I ordered work and fit perfectly. Very great product and value for replacement filters. Was glad to find this at the Honeywell store for a significant savings over local retailers. I am now set for two years of continuous use. This combo pack is hard to find in stores, but Honeywell had it at better price than buying individual filters and it shipped to me fast. the filters fit perfectly and I cut the pre-filter sheet to fit perfectly too. There is enough pre-filter material for at least two more changes. Great deal. Quick and quality service. Price was better than local prices. I haven't needed them yet, but pleased with the price didn't realize I would need 3 for the HPA300 and wish they came packaged that way. They are wonderful and at a great price! This is where I will get all my filters! Quick delivery too. The filter is the best I have seen. I did a lot of research and these work the best. Very fast shipping and very good price. Will buy again. These were the basic replacement filters for my air purifier. 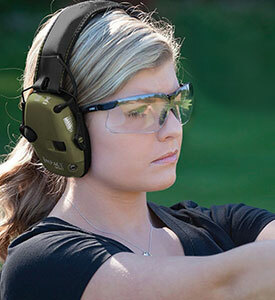 Price was good, products arrived in timely fashion, and I will use the Honeywell Store for future product needs. I had a difficult time finding replacement filters for my air purifier, so I was very happy to discovery this website. My filters came as ordered and arrived earlier than expected. Easy ordering replacements and a fast delivery. Order comes quickly and the filters work just fine.